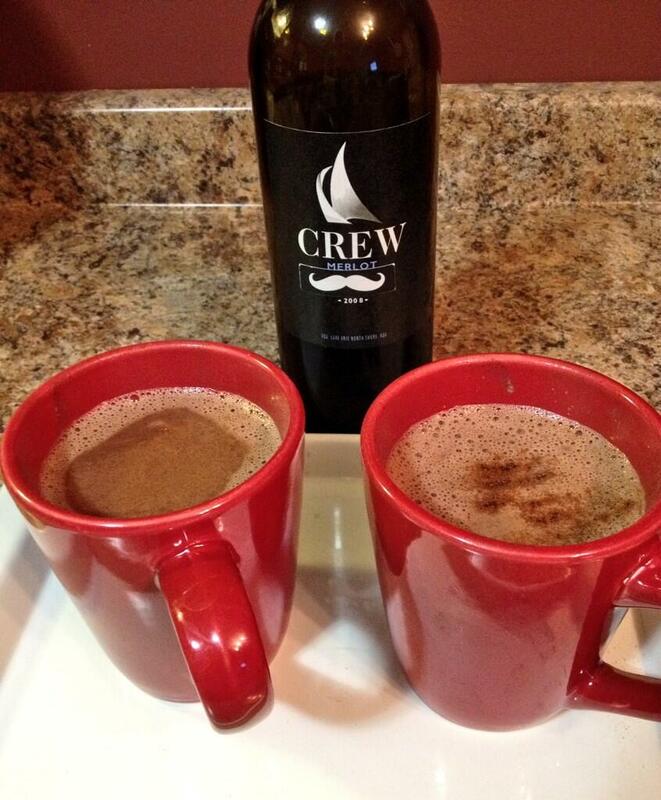 Sifting through our Twitter account last night, we found the above photo that our friend, Jen of Colchester Ridge Estate Winery, posted as she was about to indulge in a mug (or two) of Merlot Hot Chocolate. We just had to ask her for the recipe, so here it is for all of you to try! Bring wine to a simmer over low heat. In a bowl combine cocoa powder with sugar, 6 tbsp. of milk and stir well to combine. Add the rest of the milk, stir well and add into the wine. Bring to a boil while whisking occasionally.